Here we are with our 13th Podcast. We are so excited to have been doing this for thirteen weeks now. As usual, we always start off with a ‘Top 3’. And this week was hilarious. We did our ‘Top 3’ Action Movie One Liners, and man, did they bring back some memories. 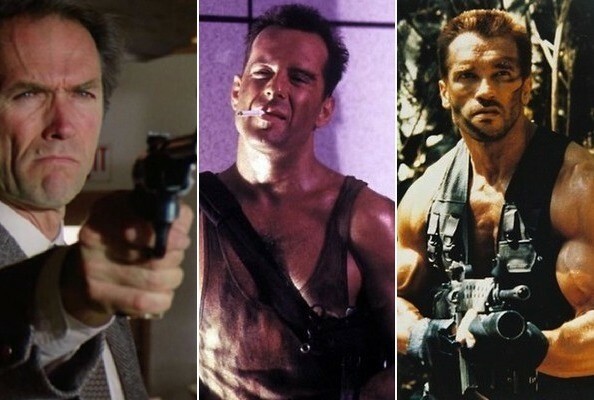 It’s difficult to not name every Arnold Schwarzenegger, Sylvester Stallone, and Bruce Willis line ever uttered, but we managed to get some others in there. Please give this a listen, and you might be laughing so hard, you’ll cry. Enjoy the show…. This entry was posted on Monday, November 4th, 2013 at 10:23 am	and is filed under Film, News, Podcast. You can follow any responses to this entry through the RSS 2.0 feed. You can skip to the end and leave a response. Pinging is currently not allowed.